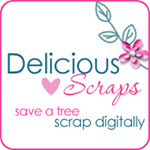 Delicious Scraps: Delicious Scrap Shop is 1 year old :) Free Commercial Use Spiral Hearts!! Delicious Scrap Shop is 1 year old :) Free Commercial Use Spiral Hearts!! I have also just got this awesome AtomicCupcake action and have been playing around with it as you can see from my last two posts lol Here is another result with it. Click on the image to download. Congrats! I tried to download the spiral Hearts and keep getting a error message. Thanks for sharing your time and talent!!! Thank you for sharing. Congratulations on the 1 yr. mark. Thanks for another great CU product. And congratulations on 1-year! Here's to many more! Thank you so much for sharing the freebies. I just want to let you know that I posted a link to your blog at <a href="http://www.deyaniscrap.wordpress.com> Deyani Scrap</a>. Thank you very much for the lovely freebie and Happy Anniversary !! Congrats on your 1st year anniversary and thank you for the great freebies. Very cute, but I cannot download :(. And I couldnot download any link from your host. Could you fix them? Thanks so much. I really like your product :). Congratulations on your first anniversary! Thank you for sharing such a lovely element! Thank you so much for this Freebie. I want to let you know that I posted a link to your blog in CBH Digital Scrapbooking Freebies, under the Page 2 post on Jan. 19, 2010. Thanks again. Love the swirl! Thank you!! This is so awesome - thanks for sharing?